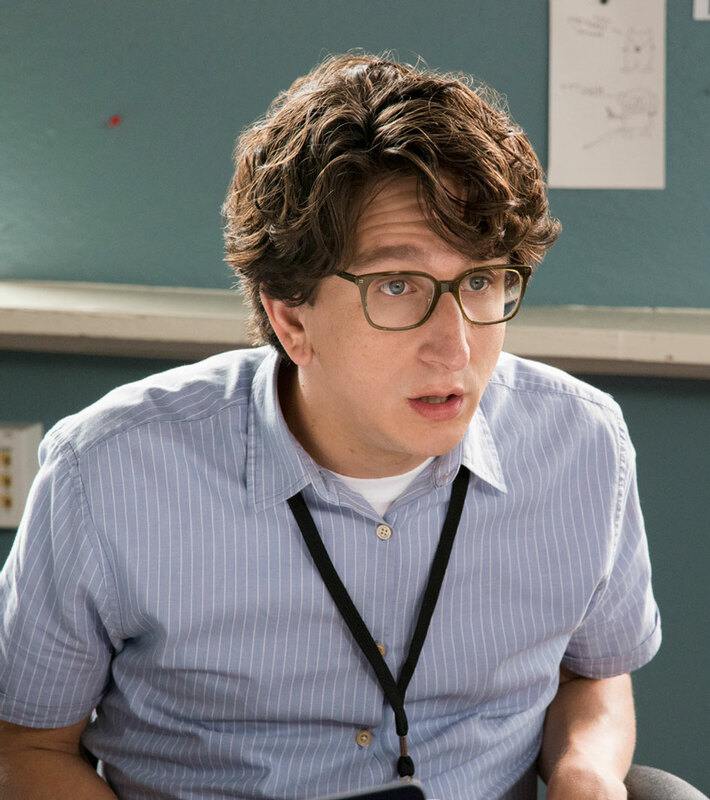 PHOTO: SUZANNE HANOVER/NETFLIX Paul Rust, 04BA, creator and co-star of the hit Netflix series Love, got his start at the UI writing for the Ten Minute Play Festival and performing as a regular at No Shame Theatre. "Paul was one of our best—and funniest—actors," says Alan MacVey, UI theatre arts professor and chair, director of the UI Division of the Performing Arts, and one of Rust's mentors at Iowa. "From the first time I saw him, I knew that he had a gift for comedy." Following graduation, Rust, 04BA, moved to Los Angeles with friends Neil Campbell, 01BA, and Michael Cassady, 02BA, where the trio took improv classes and joined the Upright Citizens Brigade Theatre. Rust has since written for Arrested Development and IFC's Comedy Bang! Bang!, guest-starred in Parks and Recreation, lent his voice to Bob's Burgers, appeared alongside Brad Pitt in Inglorious Basterds, and starred in the 2009 comedy I Love You, Beth Cooper. Now the native of Le Mars, Iowa, has expanded his fan base through Love, an edgy romantic comedy set in Los Angeles. Created and co-written by Rust, his wife and Girls writer Lesley Arfin, and Hollywood giant Judd Apatow, Love explores the toxic relationship between a nice guy and a self-destructive girl. But the protagonists aren't exactly as they seem. "Oftentimes, the uptight, button-down guy is not entirely pure-hearted," says Rust, who also stars in the show. "He puts out a lot of repression and hostility, and maybe underneath [the girl's] wild exterior, there's something more vulnerable." Soon after Love debuted earlier this year, Rust also received favorable reviews for another Netflix-released project. Working alongside his childhood idol, Rust co-wrote Paul Reubens' comeback film, Pee-wee's Big Holiday. Though he's begun to make his name in Tinseltown, Rust remains grounded in the values of sincerity, hard work, and creative collaboration he first learned from his mentors at Iowa. "You don't know how valuable it is at the time," he says, "but when someone you respect likes what you do, it can be so meaningful and encouraging."